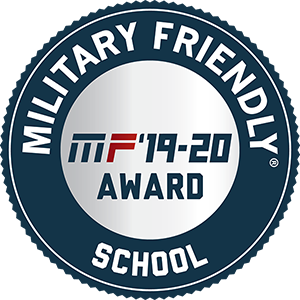 Whitworth University has earned the 2019-20 Military Friendly® School designation by Viqtory Media, publisher of G.I. Jobs®, STEM Jobs SM and Military Spouse. This is the third consecutive year Whitworth has received this distinction. Institutions earning the Military Friendly® School designation were evaluated using both public data sources and responses to Viqtory Media’s proprietary survey. Nearly 1,700 schools participated in the most recent survey. This year, 766 schools earned this prestigious designation. Whitworth is an approved university to serve veterans and their family members who are eligible for educational benefits from the Department of Veterans Affairs, including under the Post-9/11 GI Bill, Yellow Ribbon, Montgomery GI Bill, Veterans Educational Assistance, Survivors & Dependents Assistance and Military Tuition Assistance. Whitworth will present the first General Colin L. Powell Scholarship for Veterans to an incoming veteran in the 2019-20 academic year. Powell was presented last October with Whitworth’s coin, commissioned by President Beck A. Taylor. Taylor awards the same coin to the university’s veterans each year. Whitworth will be showcased along with other 2019 Military Friendly® Schools in the annual Guide to Military Friendly® Schools, special education issues of G.I. Jobs® and Military Spouse magazine, and on militaryfriendly.com.